Is there anything cuter than the animals in the Animal Outing Stamp Set? I mean this little bird and rhino friend is all the heart eyes! I just did some simple watercoloring to bring them to life. Coloring the bird with Call Me Clover is the perfect pop and goes so well with the Leaf Ribbon. 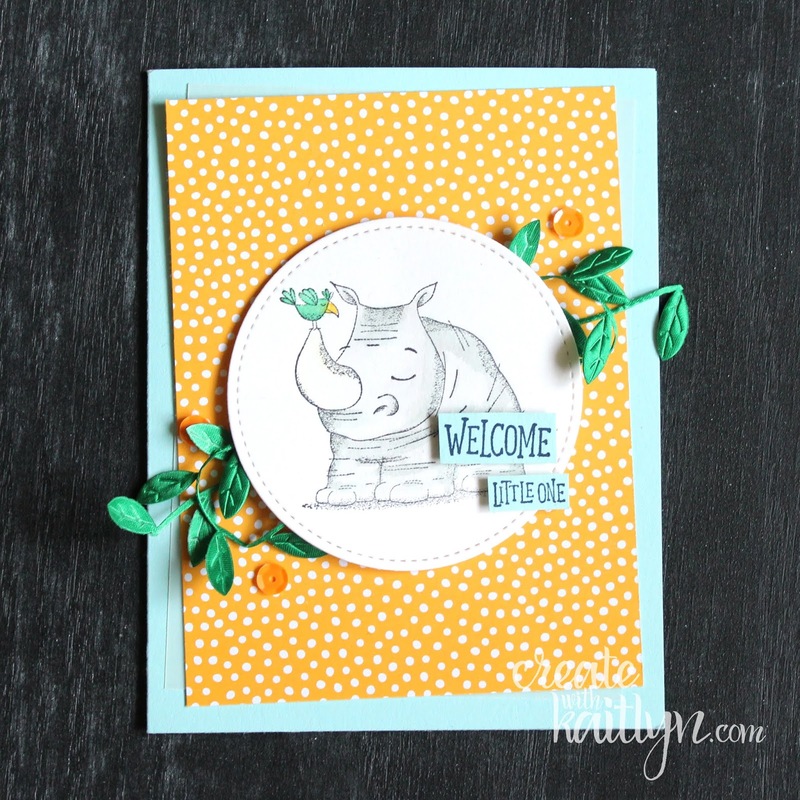 I wanted to keep this card bright and cheerful so I also added a Mango Melody. Overall, the card is pretty simple, but oh so cute! Be sure to continue along the rest of the hop with the buttons below!